Looking for Fairfax homes for sale? This website is connected directly to the MLS, which means that all of the listings are updated in real time. Fairfax, Virginia is the county seat of Fairfax County, located around 20 miles west of Washington, D.C. Fairfax homes are highly sought after for many reasons, not the least of which is the city’s close proximity to the nation’s capital and accessibility through multiple transportation routes. The city is located just south of I-66 and also has its own Metro stop – the Vienna/Fairfax station. View All Closed Sales of Fairfax Homes from the Past Month! The Fairfax real estate market is bolstered by a vibrant business community fueled by the strong area household incomes, as well as the high number of local entrepreneurs. Per capita, it has a lot of local business compared to many other cities in the country. Home values in the area have also been boosted by the huge revitalization project that has been undertaken in the downtown area. Millions of investment dollars have resulted in a lot of new construction and infrastructure upgrades, as well as the rehabilitation of numerous downtown historic buildings in the area. As you begin your search for Fairfax real estate, you’ll discover that you have a diverse range of housing options, from upscale condos and townhouses, to a variety of single family, detached homes. Fairfax homes tend to sell pretty quickly, so buyers should always jump on deals they truly desire. A big factor that plays into this is the area’s proximity to Washington, D.C.
Government workers enjoy an easy drive or ride into the capital, and a home far enough away from the big city. A quick jump on Route 66 takes one right into the heart of the capital. While getting on and off the highway is not a problem, rush hour traffic can be bad. Most Fairfax homes offer parking spots, driveways, or garages. For those who would rather leave their cars at home and take alternative transportation into the city, Fairfax offers options for both Metrobus and Metrorail service. Residents can easily catch a Metrobus at any Metrorail station, and most Metrobus routes make timely connections with Metrorail schedules. Many homes in Fairfax were built with long-lasting red bricks. Some of the homes in this old city date back to the 1800s and earlier. Some of the largest homes from those early days have been converted into townhouses, apartments or condos. However, many of them have been carefully renovated and maintained over the years. These houses look as beautiful today as they did when first built. Of course, the landscape is more mature in older sections of town, which only makes these homes more attractive to buyers of Fairfax homes. Many of the 3 and 4 bedroom homes built throughout the 1960s and 1970s have been renovated to meet current standards. These homes are located in nice neighborhoods with great schools; they sell fast. New home construction is always an ongoing thing in Fairfax. Some people just want more than what is currently available on today's market. These homes are often larger and include 5 or more bedrooms and a large number of bathrooms. Homes located on Fox Chapel Estates Drive are large family homes with acres of land. The price tag for these 4+ bedroom and bath homes is close to 2 million dollars. Some of these homes have large wrap-around porches and extra-large garages. Other single family, detached Fairfax homes can be purchased for a lot less than the cost of those above. For instance, there are many 4+ bedroom, 2+ bath properties that sit on a quarter acre of land and have a two car garage that sell for the $500,000s. These types of homes are also great for people who don’t want a ton of yard work. These homes can be found throughout the area, and lot sizes will vary depending on location. Many condos in Fairfax are built with red bricks. This colonial look is definitely a throwback to the early days of the city. Many of the older brick buildings have withstood the weathers of time and still stand. Some of the newest condominium complexes have the age-old charm of by-gone days. Most Fairfax condos in this area sell for the $200,000s and up. Size and location are the biggest factors when choosing a property in the area. Fortunately, there are condos available to fit most any budget. On Eastwick Court there are gorgeous 3 bedroom, 2.5 bath units in a brick 4-story building. These are townhouse style condos with a huge wooded area as a backdrop to the rear of the property. Residents especially love the full wall of windows that lets in a ton of natural sunlight, and they enjoy parking their car in a private garage. 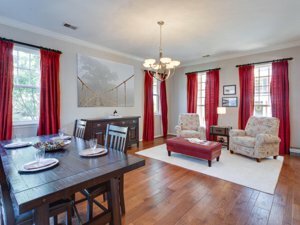 Willow Oaks at Fair Lakes has gorgeous quad-level condos that feature 3 bedrooms and 3.5 baths; one is a master suite complete with its own sitting room and luxurious bathroom. A one car garage is a bonus feature in this quaint colonial style complex. There is a large luxury 4 story building on Norton Place that is home to many residents. These 2 bedroom, 2 bath homes are all single floor units. Upper floors residents are happy with the elevator that saves them from climbing flights of stairs. Residents truly enjoy the convenience of the secure underground garage. For those who wish to live really close to the Vienna Metro, the beautiful contemporary red-brick condo on Bleeker Street should be in your spotlight. These gorgeous Fairfax homes are just two blocks from the metro station and steps away from shopping, dining and entertainment. Built in 2016, most units have gourmet kitchens and steel appliances. Master bedrooms in some units are the most amazing suites in town. At the higher end of the price scale are the Fairfax homes in the 4 story red-brick contemporary building on Rittenhouse Circle in MetroWest. These townhome-style condos, built in 2013, have large open floor plans, hardwood floors, all modern features and a ton of other great amenities. Most people choose this location due to it being within walking distance of the Providence Rec Center and the Vienna Metro. All workers enjoy being so close to the metro station. Like detached, single family Fairfax homes and condos throughout the city, townhouses are also mostly red-brick structures that were either renovated or built new to blend in with the old-world charm of this city. One can find townhomes everywhere in Fairfax, in every price range. Location and size are everything for those who want to live a townhome. The Fairfax Plaza Townhouse is one such red-brick building. Located in a quiet community close to Arlington Blvd, this two level structure is surrounded by well maintained courtyards. The contemporary red-brick buildings that make up the whole of the Fairfax Plaza complex has been copied from historical buildings, and continues to be replicated today. Builders know that many people choose this area for its historic look and they strive to give the customer's what they want. Many of the 2 and 3 bedroom townhome communities have properties that come on the market all the time. However, these homes (like others in Fairfax) don't stay on the open market for very long. Fairfax townhouse prices usually range from the $300,000s and up. Some smaller properties have basements and some don’t. You can also buy new construction townhomes for closer to the million dollar range. Many of these red-brick building look as though they have always been a part of the city. 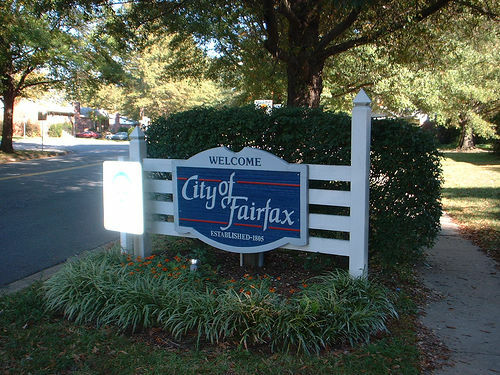 Many people choose Fairfax homes because there is so much to see and do in the area. Virtually nothing is more than a couple of hours from home. The Potomac River very close. A day trip to the Chesapeake Bay is something every family should enjoy. Water sports, picnics and walks along the waterfront are plentiful in this waterfront county. For those who love American history, Virginia is filled with historical monuments, memorials, buildings and other artifacts related to the various battles and wars fought on their soil. These attractions are scattered throughout Northern Virginia and are a gem to find when out for a leisurely drive. History buffs can scout out locations and plan a trip surrounding these treasures. The Fairfax Station Railroad Museum is a great location attraction. The history of this old station will fascinate young and old alike. The station itself was completed in 1854 and was used during the Civil War. Clara Barton was an important part of helping the wounded get into and out of Fairfax Station safely, and with the supplies they needed to get well. Time took its toll on the train station and it fell out of use. The old building was donated by the Southern Railway and local families donated land for the building's final resting spot. It is now a wonderful museum that preserves the memories of this vital part of the Civil War. It is structures like the train station that have been restored to their original state that attract so many people to Northern Virginia real estate. The beauty of the land and its local attractions are two of the things that bring so many to visit and then call this land their home. It is not just one thing about Fairfax real estate - it is a large combination of features that make this such a great area to live. Schedule Viewings for Fairfax Homes! If you’re in the market for a home in this area, call me directly at 703-462-0700 so I can help you find the right place. I grew up in Northern Virginia and am very familiar with the Fairfax real estate market. I’m an expert when it comes to contracts and a great negotiator who will work hard to get you a great deal on your home purchase. Thinking of Selling Your Fairfax Home? 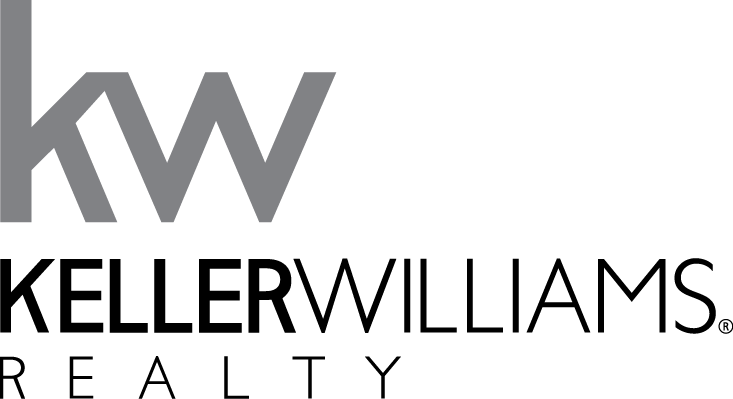 If you own a home in Fairfax and are curious about its current market value, contact me and ask for a free market analysis. I’ll analyze recent sales in your subdivision and give you a good idea of what your property could sell for in the current market.